Learn stoppies and nose pivots to bring style and safety to tight switchbacks. Step-by-step video tutorials packed with drills. Unlimited & interactive coach support ensures natural progression and success! Step-by-step progression, from beginner to advanced. This allows for SAFE, GRADUAL and CONFIDENT progression even for the most challenging skills! Well-considered learning progressions are required for lasting success. If you're ready to up your game beyond skids, this course is for you. It's not just for flair and style, these techniques are incredibly powerful for a multitude of technical trail riding challenges. Lesson 1-5: Turn The Switch Back On - Course introduction, prerequisites and safety protocol. Lesson 6-14: - Learn how to turn sharply while on a steep slope. Bike body separation, pedal position, and braking. Lesson 15-21: Front Wheel Fun - Core ingredients: rear wheel lifts, brake control and magic stops. Lesson 22-27: A Magnified Effect - Stoppies and nose pivots - you've got this! Lesson 28-33: Rotations - Add complexity by adding rotation to your stoppies and pivots - so much fun!! 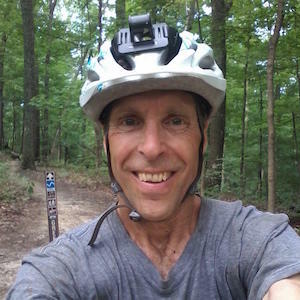 Lesson 34-37: Front Wheel Fun (Coming Soon) - Challenge yourself with nollies, front wheel hops, and nose pivot drops. "Ryan breaks down both stoppies and nose pivots into a logical progression of smaller skills, each of which is addressed in its own video with drills to help the learning process, plus advice about possible stumbling blocks to watch for. Ryan gradually leads the rider to merge the skills into one smooth, stylish movement. It’s easy to pose questions or post videos of progress (or challenges), and the Coaches and Ambassadors are quick to reply with insightful, encouraging comments. 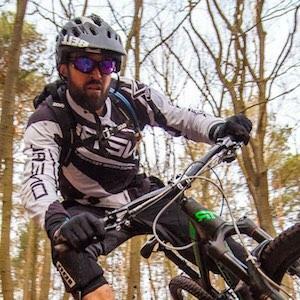 I highly recommend this course and Ryan Leech Connection to anyone who would like to improve their MTB skills!" Access this course along with our entire skills coaching library for less than a few post ride beers per month OR purchase as a stand alone course. "I’m usually confronted with tight switchbacks on my holidays to the Alps or Spain. There are a lot of tutorials out there but I often found these more confusing than helpful. Ryan’s unique course breaks down all the variations so you learn much quicker and safer. Then you can use the right technique at the right place." Immediate access to 19 comprehensive skills courses (hundreds of lessons: bunny hops, manuals, cornering, jumping, wheelies etc.) Our no contract policy gives you freedom to stay for one course, or to stay and tackle a variety of skill progression projects. Unlimited critiques from our coach & ambassador team, including Ryan. Every lesson has a comment section where you can post questions; or for even more powerful feedback post some video clips of your practice session! Join an international community of riders passionate about progression. Our MEMBER-ONLY facebook group thrives on high quality interaction, it's a safe and supportive space to tackle any mtb challenge. Why Learn Stoppies & Nose Pivots? Red Bull Pro-Rider and technical riding genius, Thomas Ohler demonstrates why these trail-friendly skills are so important to add to your skills arsenal. Thomas is guest coach for this new course. 7 Day Free Trial - 30 Day Money Back Guarantee - No Contract - NO RISK! Browse our Most Popular Courses! We'll email you with the code once the course is ready early 2018!